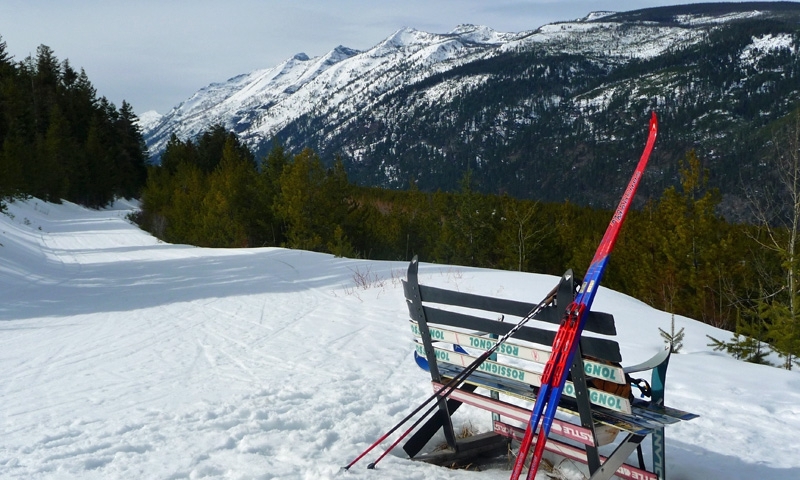 Rent a pair of cross country skis and head to Lake Como or Lost Trail Pass. Both areas feature groomed cross country and skate skiing trails. Visit our Hamilton store or shop online anytime! New gear and rentals for your downhill & X/C ski, snowshoeing and mountain and road bike needs. Happy to help vacationers to the Bitterroot Valley. Where can I go Cross Country Skiing? The Bitterroot XC Ski Club maintains a huge network of classic and skate skiing trails known as the Chief Joseph Trail System. It's located near the Lost Trail Ski Area at the top of Lost Trail Pass at the southern end of the Bitterroot Valley. There is a cozy log cabin available at the trailhead for skiers to enjoy lunch or to warm up. Trail Maps (maps are also available at the trailhead). Location: Lost Trail Pass, head south from the Bitterroot Valley along Highway 93. The cross country ski area is located adjacent to the downhill ski area. Fees: Free, but donations and memberships are encouraged. You don't have to be a member to ski the Chief Joseph Trails, but members help pay for the grooming of all ski trails. Contact Info: Visit their website. Only 20 minutes from Hamilton, Montana the Como Trails are free of charge and pet friendly. Enjoy over 30 miles of groomed trails for cross country skiers and snowshoers. Location: Follow Highway 93 to Lake Como Road (roughly 13 miles south of Hamilton). Follow Lake Como Road for 2.7 miles until it forks. Veer left and follow the road for another mile. Park at the intersection of 550 and 550A roads. If this area is full, park at the boat ramp parking area.